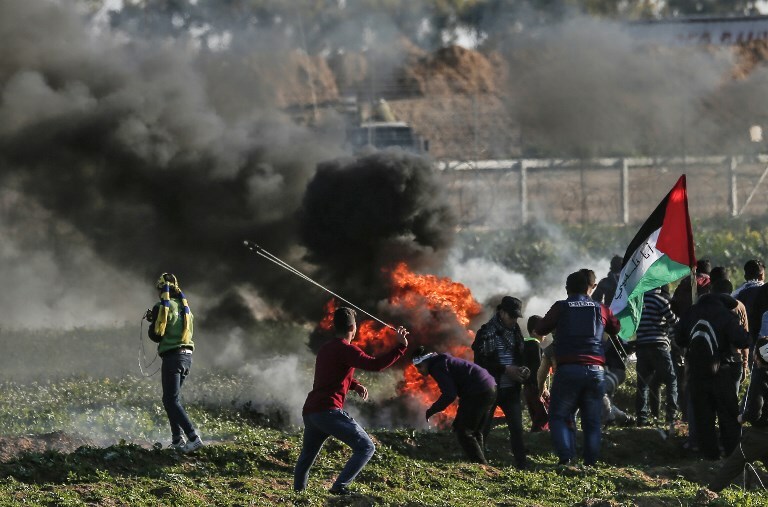 In the lead-up to this Saturday, when tens of thousands of Palestinians are expected to take part in protests along the Gaza border to commemorate both Land Day and the first anniversary of the “Great March of Return,” Hamas and Israel appear to be playing a high-stakes game of chicken, with each side — in both word and deed — threatening all-out war against the other. 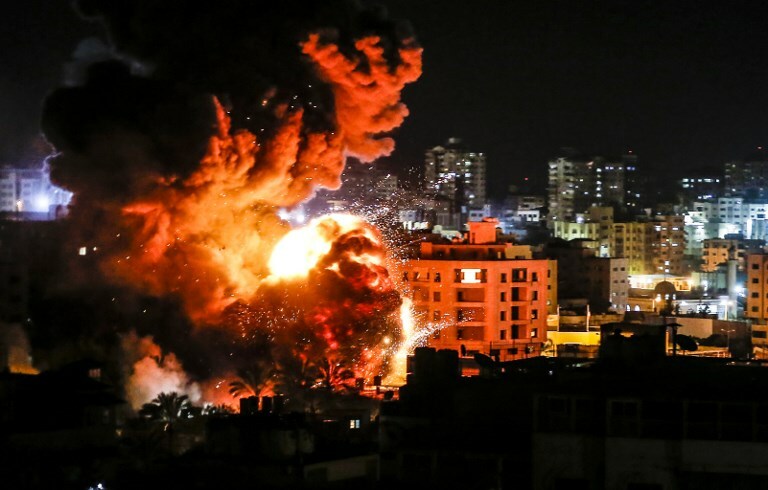 As an Egyptian military intelligence delegation shuttles back and forth between Tel Aviv and Gaza to broker a ceasefire agreement between the two sides, Hamas is attempting to extract the greatest possible concessions from Israel using the specter of a punishing assault on the Israeli home front just before a national election — one that it knows would also cost Gaza dearly. Though the main stated goal of the past year’s protests — the right for Gazan refugees and their descendants to return to their ancestral villages in Israel and the West Bank — is almost surely a nonstarter with Jerusalem, Hamas is hoping for Israel and Egypt to lift their blockade of the Strip, which the two countries maintain is necessary to prevent terror groups from importing weapons into the coastal enclave. Israel, in turn, is looking to restore calm to the communities surrounding the Gaza Strip — meaning an end not only to rocket fire but to all violence along the border, including the riots along the security fence and the airborne incendiary and explosive devices — while also denying its enemy, Hamas, a victory, but says it is prepared for war if these talks fail. “I recently ordered that units be reinforced and that additional [armored] vehicles be dispatched in preparation for an extensive campaign. All citizens of Israel know that if an extensive campaign is necessary, we will go into it strong and secure, after all other possibilities have been exhausted,” Prime Minister Benjamin Netanyahu said in a statement Thursday. Also on Thursday, Hamas officials said their group would only agree to an Egypt-mediated ceasefire with Israel after the protests for Land Day, the annual commemoration of the expropriation of Arab-owned land by the Israeli government in the northern region of Galilee in 1976. The group is trying to paint Israel’s stubbornness and threats of force as the result of the ruling Likud’s election campaign, a fairly dubious assertion as another bout in Gaza — what would be Netanyahu’s third in under seven years — is as liable to negatively effect the prime minister’s re-election chances as help them. The Islamist terror group is desperate for a victory in order to justify its reign over the beleaguered coastal enclave. Over 11 years into Hamas’s rule, the majority of young people in the Strip are unemployed, electricity is available for just a few hours per day and potable water is scarce. Hamas’s latest gambit in its fight against the Jewish state, the March of Return protests, which began March 30, 2018, has resulted in nearly 200 people — both civilians and combatants — killed by Israeli gunfire, according to a recent UN report, but has yielded few to no significant achievements for the terror group. In recent weeks, residents of the Strip have started voicing their anger with Hamas, holding demonstrations in the streets against the economic conditions in Gaza. The terror group has responded with swift and harsh crackdowns to quell the unrest, sending its security forces to beat protesters and conduct mass arrests. As the one-year anniversary of the March of Return protests approaches, Hamas and other terror groups in the Strip have stepped up their violent activities against the State of Israel: Scores of balloon-borne incendiary and explosive devices have been launched across the border; so-called “confusion units” set off powerful explosives during nightly riots along the security fence to frighten the Israelis living nearby; and, this week, Hamas fired a powerful, long-range rocket deep into Israel, destroying a home and injuring seven, followed by dozens of additional projectiles in response to Israeli retaliatory strikes. Somewhat out of the public eye, Hamas members serving sentences in Israeli prisons have also been increasingly violent, stabbing two guards earlier this week, injuring one of them seriously. Israel has also been cracking down on Hamas prisoners, isolating them, searching their cells, and blocking the use of illegally smuggled cellphones. Israeli officials, along with Hamas’s rival the Palestinian Authority, have accused the terror group of trying to use violence against the Jewish state as a way to channel the frustration and disaffection that Gazans feel over their squalid living conditions and economic instability. The Israeli military is preparing for the possibility that Saturday’s protests will be some of the most violent yet. Though Hamas is referring to the Land Day demonstrations as the “million-man march,” only a few tens of thousands of people are expected to participate. The weather, which is currently predicted to be cold, rainy and windy, may help keep the numbers even lower than that. Throughout the past year, these riots have seen attempts to breach the Gaza security fence en masse, explosive devices thrown across the border and, in a few cases, shooting attacks on Israeli troops, including one in July that killed IDF soldier Aviv Levi. 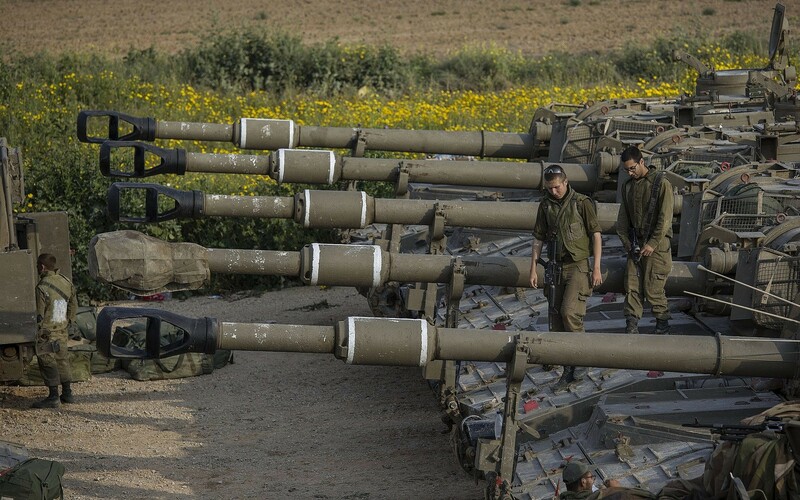 The Israel Defense Forces is not counting on precipitation to prevent Saturday’s riots and has deployed an additional three brigades — two infantry, one armored — to the Gaza border, along with an artillery battalion. The military also called up reservists for air defenses and other select units, and weekend leave for troops in the Southern Command has been canceled. On Saturday, hundreds of snipers will be deployed along the security fence, supported by tanks, aircraft and infantrymen. 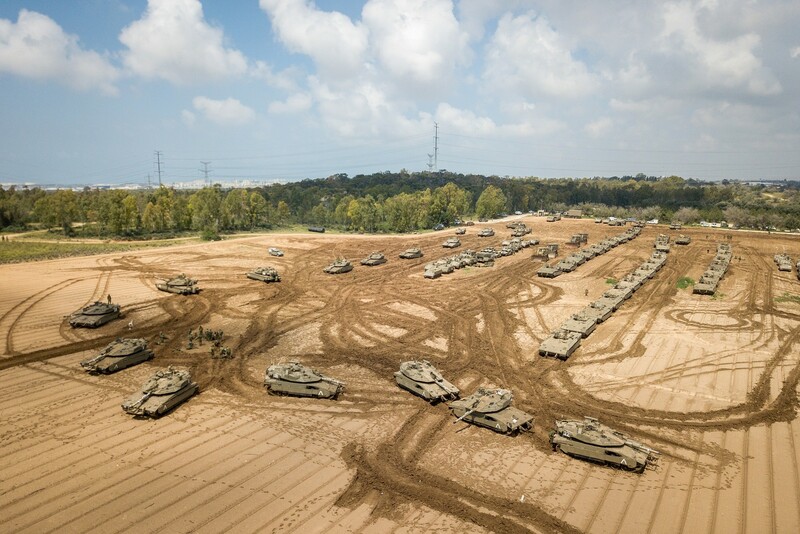 “IDF troops have completed operational preparations for the events of Land Day in the southern region and are continuing to increase preparedness for a possible escalation of violence caused by violent and terrorist acts during [the protests],” the army said.